I’ve been thinking about some of the imponderables associated with Kyron Horman’s disappearance. Agreed, there are many; but here are a few that have been on my mind. Some of you will have others. · Has the Multnomah County Sheriff’s Office now relegated the Kyron disappearance to the cold case files? They can’t possibly have one or more deputies currently assigned to this investigation. Leads must have long since dried-up. They just don’t seem to discuss it anymore. Furthermore, what about some of their past edge-of-the-seat comments? ‘We’ll have more by August.’ Of course, they didn’t mention what year they were talking about. · Why did Desiree give up her civil suit? It was her one best chance to keep the investigation before the public, as well as develop new information. Was it about money? If so, why didn’t she ask for help? There are attorneys and private investigators who would have probably taken the case pro bono, or on an expense basis only. But, she seemed to let the opportunity pass without any sort of tangible reason. I know she seemed to blame it on the Sheriff’s Office and the Prosecutor – and that they wouldn’t turn over their investigative results. But, let’s be real. Everyone familiar with the system knew that would be a very long shot. Also, and I’ve discussed this several times, why didn’t she name the school district in the suit? · What about the child custody case currently before the court – Terri Horman and Kaine Horman? Under the circumstances, any judge would have to be unhinged to give unsupervised custody to Terri. That’s just not going to happen. Even a supervised visit by the estranged mother, Terri, would be disturbing to the child. Don’t you think? · Did Terri fail one or two polygraph tests, or did she not? Do we know that for a fact? And, if so, what part of the polygraph test was she presumed to be deceptive? · Why has Terri Horman refused to consistently cooperate with the inquiry into the whereabouts of Kyron? Why has she surrounded herself with attorneys and apparently invoked the Fifth Amendment, on more than one occasion, as a shield? I know she / they claim it is because of the alleged ‘murder for hire’ situation. I say that is nonsense. Regarding that particular issue, the SO and prosecutors don’t seem to have any prosecutable case – little more than he said – she said. No, the MfH claim is a ruse by her attorneys to protect her from talking about the disappearance of Kyron. If the alleged MfH plot is the sticking point, why doesn’t the prosecutor give her immunity from that charge in exchange for her complete cooperation in the disappearance of Kyron? No attorneys, no Fifth Amendment, just the complete cooperation of a normally concerned parent of a missing child. Not a lot to ask or expect. Is it? · Who is paying for all of Terri’s attorneys? Her parents? If so, they must be pretty well-set. And, why would they be willing to sink their life-savings into a situation like this? Are her attorneys working pro bono or at a reduced rate? I doubt it. Steve Houze is one of the most expensive attorneys in the Portland area; and much of his money he wants upfront. Why does Terri require a celebrity attorney when other very qualified, less expensive attorneys are available? · Is the Sheriff’s Office inquiry now prefaced on the recovery of a body? And, if so, how would that change anything? The only difference is that there is a factual crime, at that point, but there is not, probably, any additional evidence – at least not at this late date. Depending upon where, when, and the condition of the body - very little evidence will remain. · What’s with the school? How did they manage to skate free of any involvement in Kyron’s disappearance? There was no negligence on their part? None? 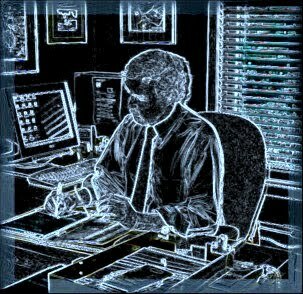 · If they can’t identify a suspect – they being the SO or prosecutors – who have they eliminated? They don’t have to necessarily name names, but it seems they could give periodic updates – rather than the vague generalities the public is expected to swallow – unchallenged. · What were the details with the cell phone pings emanating, reportedly, on Sauvie Island and attributable to Terri Horman’s cell phone. Mere rumor or fact? · Why does the whole issue with David Durham, his shooting of a police officer on the coast, and his subsequent disappearance, without a trace, still hang there like a conspiratorial misfire? What about his connection to Sauvie Island? What about Terri’s? Was there any indication that Terri Horman knew him? Did they have common friends or associates? Common habits or pursuits? Illegal drugs? Why does ‘disappearing without a trace’ seem like a possible common denominator? After all, someone, like Kyron or David, disappearing into ‘nothingness’ is rather rare. · How long will Terri Horman endure her self-imposed exile to Roseburg? When will attorneys Houze et al lose interest? When will Terri’s financial backing be exhausted? Why does she not leave the State and start a new life elsewhere? Have the prosecutors blocked her from doing that? Does she expect to be vindicated? Then what? 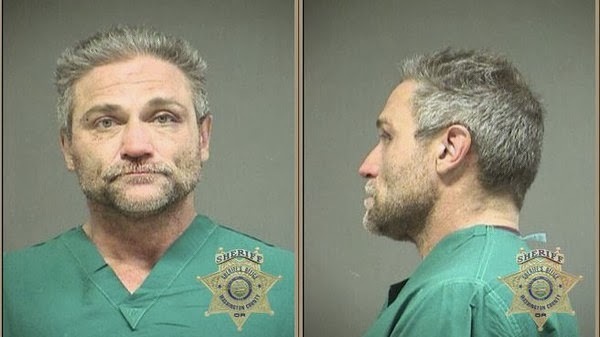 On February 14th, Dave Dahl appeared in Washington County Circuit Court to enter a plea in the melee of November 14th, last year. During the November dust-up, he rammed Sheriff’s Office vehicles with his Cadillac Escalade, fought with deputies (injuring same), was high on intoxicants and was generally a bad boy. I’m not making light of this. But, the judge seemed to think the incident was rather minor, subsequently releasing Dahl on a mere $20,000 bail of which Dahl put up $2000 to a bail bondsman. This was the designated bail given to a previously convicted felon and currently a rather well-heeled man. Dahl appeared in court on Friday, February 14th, with his attorney Steve Houze, for the preliminary hearing involving the aforementioned crimes. At that time, prosecutors nailed Dahl with 14 additional counts (nine felonies and five misdemeanors). Crimes included multiple counts of ‘assault with a dangerous weapon’ – presumably the Cadillac Escalade. Yes, a vehicle can be considered a ‘dangerous weapon.’ Dahl was handcuffed and taken to jail. Bail, this time, was set at $520,000. Don’t worry, he has posted the bail and is now out again. I know it is becoming increasingly clear that I have little regard for many attorneys, particularly those in the criminal justice system. Why? The whole system is often little more than an inside joke – perpetuated by defense attorneys, prosecutors and judges. They play their legal games with an alarmingly straight face. So, what’s my gripe? After being kind of down on Mr. Dahl, I hate to see this kind of ‘pile-on’ justice or whatever you want to call it. Washington County prosecutors took three months to decide what to charge Dahl with. Three months, can you imagine? In other words, the prosecutors spent the last three months reading their code books before they decided on just what crimes Dahl had committed; and finally, exhausted by their professional efforts, pared the charges down to 14 additional. 'Whoa,' they might say. We had to wait for the sheriff deputies’ reports. Well, they should have had them within a day or two. 'But,' they might counter, 'the deputies were injured.' OK, how about someone conducting an inquiry, interviewing the deputies, and presenting prosecutors with the facts? After all isn’t "justice delayed, justice denied?" So, what’s the game here? Well, prosecutors pour through the elements of every conceivable crime associated with a given situation. After they have drawn up the list, they have no half-baked illusion that they will receive a conviction or a guilty plea on each charge. Of course they won’t. It’s just how you play the game. Houze will negotiate and 'deal-down.' Some concessions on charges will be made by the prosecution in exchange for a guilty plea on others. Dahl will go to jail for a short period of time - plus a sizable fine. Houze and prosecutors will go to lunch. Game over. 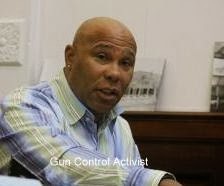 Dwayne Ferguson, age 52, licensed to carry a concealed weapon in the state of New York, was arrested and charged with two felonies when he ‘accidentally’ carried a handgun into an elementary school where he was mentoring young children. Someone, anonymously, reported to the police that an unknown individual had brought a gun into the school. (Sounds to me like Dwayne was set-up.) The school was locked down, countless police and a SWAT team responded, and after some time, reportedly hours, the police discovered the person ‘packing’ was Ferguson. Ferguson, a prominent figure in the community, and a proponent of strict gun laws for the state of New York – much like the ones for which he was arrested – was, during the extended search and lockdown, allegedly protecting children while police searched the school. He was apparently not aware that the gun-toting individual the police were looking for was, in fact, he. This is both amusing and troubling. Amusing from the point of view that a strong gun control activist could be arrested for violation of laws that he publicly supported, and that his defense is that he was unaware that he was carrying a gun on his person. On the other hand, troubling in the sense that violating some of the new gun control laws is extremely easy to do. I’ll explain. As a general rule, there are two elements to a crime – particularly felonies: the mens rea or criminal intent and the actus reus or guilty act. Both of these elements are normally required for the most serious crimes. In Ferguson’s situation, if the facts are as reported, he has completed the guilty act (actus reus), but he has not shown or demonstrated criminal intent (mens rea). Now there are exceptions. Many violations of law, such as traffic violations, do not require criminal intent – as we all know. Nonetheless, most felonies do require intent. And, this started me thinking about possible exceptions to that standard. Negligent homicide might be one exception. It is based on the premise that an act of violence has been committed wherein an ‘average’ citizen should be aware that his or her actions were dangerous and likely to cause harm (an element of intent). This is, I suppose, the long way around to address the question as to whether or not Ferguson, clueless as he may very well have been, should be charged with a felony. A fine perhaps, but a felony? I don’t think so. A personal observation: I ‘carried’ for quite a few years while in law enforcement. I don’t think there was a moment when I was not fully aware that there was a gun strapped to my waist. How someone could forget they were carrying a gun and walk into an elementary school, particularly after supporting and advocating for that very same law against bringing guns into schools, is hard for me to believe. More likely, in my opinion, Ferguson decided that the law didn’t necessarily apply to him. Now to the troubling aspect. Many laws have been recently enacted making it a felony to possess a gun on your person within 1000 feet of a school. Laws similar to the one that ensnared Ferguson. Practically speaking, this makes it difficult to navigate any town or city without violating the law if you are a shooting hobbyist or hunter. Those licensed to carry ‘concealed’ are not exempted from these restrictive laws. Ignorance is no excuse. So, if your car happens to break down near a school, and you have a concealed permit, the police officer’s first question will be, ‘do you have a gun with you?’ Why would they ask that? Because when they run your license plate, they are informed that the registered owner of the vehicle has a gun permit. So, what do you do? Well, you could lie. God help you if the police discover you were lying. Or, you could say, ‘yes, I have a permit and the gun is in the glove box.’ It’s nice that you are honest, and very commendable I might add; but, nonetheless, you will be on your way to jail in handcuffs - possibly charged with a felony. The laws vary from state to state, so do your research. Oh, I should say, good luck with that. The gun laws, you will find, are complicated, redundant and deceptive – not always as they might first appear. Remember that state gun laws are often enacted by marginally employed lawyers who have the time to run for state office, have never owned a gun and can’t understand why anyone would want to own a gun, and who take considerable joy in creating laws that are so unintelligible that a lawyer is required to interpret.